Here are some interesting and useful sites that I visit from time to time. If you would like your site listed here then drop me a line and I will check you out! I own a small fleet of Weber grills. Three of my Weber’s are gas grills and each one has different length Flavorizer bars. I have given up trying to remember the exact part numbers for the different grills and just head over to Weber Flavorizer Bars and use the handy selection guide to get the right Flavorizer bars for my grills. For the rest of the replacement Weber parts I need I go to Quality Grill Parts. It is much easier to find the right Weber parts from this site than it is on Weber’s site. My favorite Weber gas grill that I own is my little two burner Weber Genesis Silver A. It’s getting harder and harder to find the right replacement parts for the Silver line of grills. Finding the right part is also confusing as the ignition and grates were changed between 2001 and 2002. For the Silver B and Silver C grills the burner tubes were also altered in this same time period. When I wanted to make sure I got the correct replacement ignition system I went to this site dedicated to absolutely everything about the Weber Genesis Silver and got fixed up. Antics In Cooking: Dave runs this fun site dedicated to learning to cook one recipe at a time. Dave isn’t a big fan of his photography skills but his recipes are pretty great! Patrons of the Pit: Poetic musings from two men grilling and smoking up in Minnesota. Smoke and Flavor: A cool site from Bill Knechtel that highlights the best in grilling and barbecue from around the Internet. Bill points you towards great tutorials and links to fun and interesting bbq news. Absolutely worth a visit! The Not So Creative Cook : A nice cooking and baking blog that was kind enough to give me a shout out when I first got the site started. Thank you! The BBQ World of Mr Dodd: Smoked jambalaya and grilled quesadillas! Mr Dodd is cranking out some great barbecue and sharing some pretty nice recipes. The Deerslayer’s Wife : A great blog about living life differently. Eating what you hunt and calling out Valentine’s Day as the commercial trap that it really is. A breath of fresh air. Extraordinary BBQ : Kevin runs a great bbq website and is a member of a competition bbq team. Kevin sends out a very nice newsletter every Saturday morning that you should sign up for. 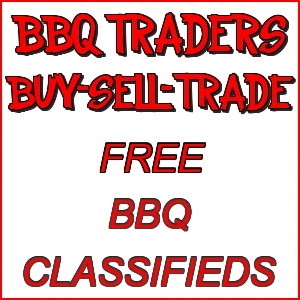 The Best Source for BBQ Wood : If you need wood for your smoked then this is your place! Great selection of smoke woods with very reasonable prices.